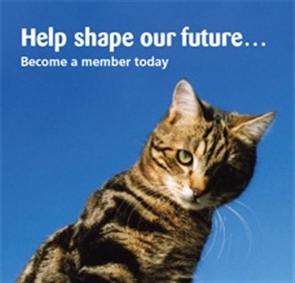 Becoming a member of Cats Protection is a great way of showing your support, plus you will be helping us shape our future. All members have voting rights at our Annual General Meeting, meaning your voice will be listened to as we strive to help even more cats into the future. Members will also receive a copy of our Annual Review each year and our fantastic supporter magazine The Cat.